In the summer of 1968, the owner of the Weymouth gas station, Zed Davis, paid Craig Staufer $200 to paint a mural of historic Weymouth on the wall behind the bar. Craig was only 16 but already well known for his artistic abilities. Craig talked to some of the older village residents and did lots of his own research to come up with how the village may have looked in 1856. 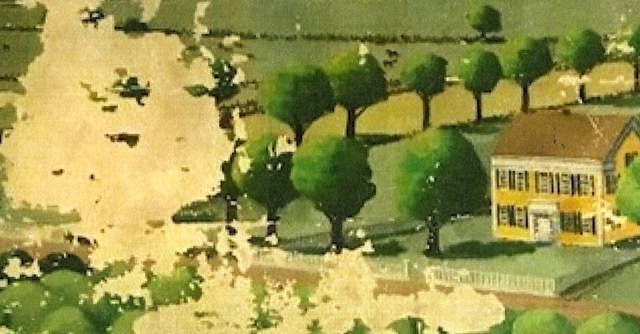 Over the years time took its toll on the mural. 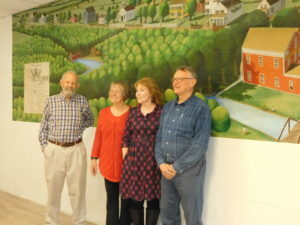 The current owners, Rob and Marlene Shurell, (at left) looked for years to find someone to restore the mural. 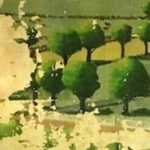 Janet Baran, new to Medina but a life-long professional artist with ties to Weymouth’s Lathrop Seymour, answered the call. 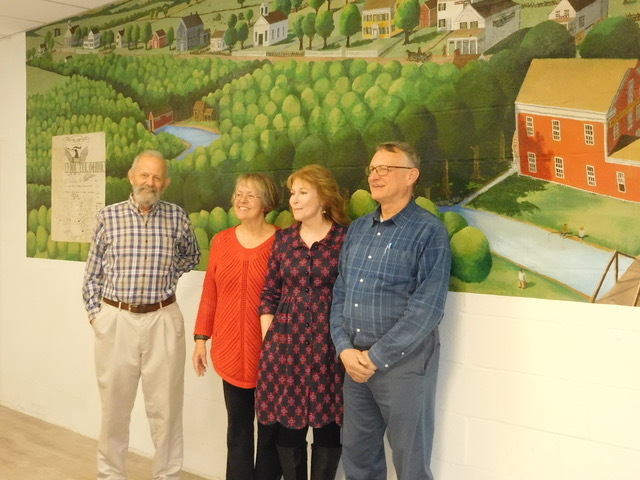 Thanks to Rob, Marlene, Craig and Janet for bringing this beautiful and historic mural to life. Watch for an opening reception this summer. The Methodist Episcopal Church (1845-1906) above Marlene’s head was totally missing.